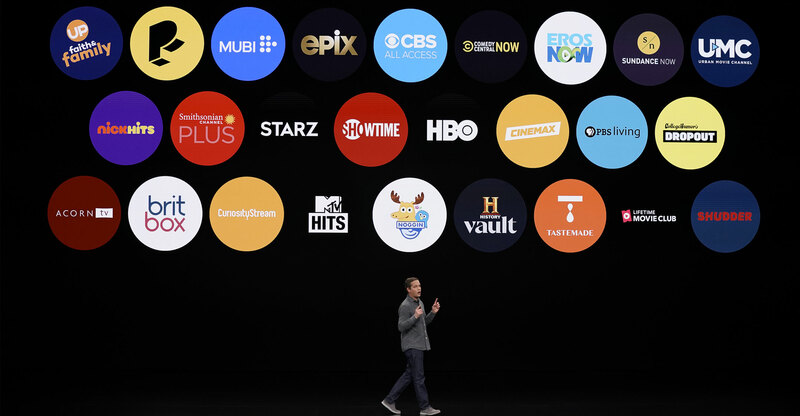 Apple may not be able to offer the same range of content as Netflix when it launches its Apple TV+ streaming service, an industry expert has suggested. The technology giant showcased a wide range of Hollywood luminaries including Steven Spielberg, Jennifer Aniston and Reese Witherspoon as it announced its plans to make original, quality TV shows, films and documentaries. However, Martin Garner, senior vice president at industry analyst firm CCS Insight, said this approach may not appeal to everyone. “Apple’s TV+ original content programme launches in fall (South African spring) 2019, focusing on quality storytelling. This gives it a clear position in the market, which will produce some hit shows,” he said. Garner argued that the surprise announcement of an Apple credit card was the most interesting announcement made. “Apple’s most innovative launch today was Apple Card, offering a range of disruptive credit card features available through the Wallet app, 2% back in cash on most purchases, and a titanium physical card which looks set to become a highly aspirational item,” he said. At its live event in California, Apple also unveiled a new subscription service for mobile gaming, called Apple Arcade, which is also due to launch later this year.